Live updates for Herefordshire and Worcestershire have finished for the day but we'll be back from 08:00 on Wednesday with the latest news, sport, travel and weather. 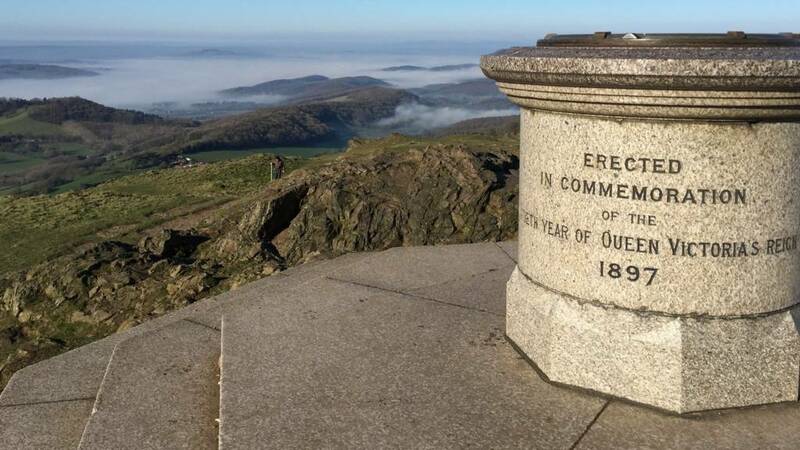 These photos were taken on top of the Malvern Hills by Lucy Bond - it looks cold. I'd love to feature you photos - you can email, tweet us on @bbchw or add #HWLL to your photo, or you can message via Facebook. The downpours could lead to flash flooding - check with BBC Travel. The Environment Agency has issued four flood alerts in Herefordshire and Worcestershire. - River Isbourne, Badsey Brook, Honeybourne Brook, Bretforton Brook, Littleton Brook and their tributaries. A cloudy start to this evening with perhaps a few spots of rain or drizzle. Then a band of rain, possibly heavy at times with hill snow, will spread eastwards overnight. Lows of 5C (41F). A Hereford pub which was at the centre of a row over a paint job has closed. Two weeks after BBC Hereford & Worcester celebrated the 100th birthday of the man labeled "Britain's finest dive bomber pilot" by air war historians, we've learnt of his death. Arthur Gill, from Little Dewchurch in Herefordshire, passed away last week, having celebrated his centenary in style with a trip in a Rolls Royce Silver Shadow. During his career with the RAF he survived 17 crash and forced landings, and he also flew more than 140 different types of planes, including a Concorde. This great picture comes from one of the BBC's Weather Watchers - Typhoon Taffy from Bartestree in Herefordshire. I'd love to feature your photos on this page - you can email, tweet us on @bbchw or message via Facebook. A team from the University of Worcester was has won the first British Universities Wheelchair Basketball Championships. Sixteen teams took place in the championships, which took place at the university over the weekend. The University Arena is the official home of British Wheelchair Basketball. Fearless steeplejacks scaled the head-spinning heights of Pershore Abbey's tower and carried out work to stop pigeons roosting in the historic structure. Two witnesses who may have seen an assault which ended up with a man falling into a canal in Worcester are being sought by police. Officers want to talk to a man and a woman who flagged down the police following the assault, at about 9:40 am on Saturday, 20 February. A 57-year-old man was assaulted by the canal at the rear of Padmore Street, police say. Here's where some of the £25m local councils have received from the government's New Homes Bonus has been spent. - Bromsgrove District Council: Has set up a community grants scheme over the last year,– which allows communities to bid for a 25% of all the money the council gets from the New Homes Bonus. Leominster's tourism service is to be taken in-house by the town council. Herefordshire Council has an online map showing which routes have been gritted. I've been at nPower’s Worcester office, fining out how their job cuts announced today will affect its 600 staff there. While the company says new posts are being created here, some workers are likely to lose their jobs. We've been told that 20 posts will go from its Worcester base. However, because Npower's also closing its Staffordshire site, 70 new posts will come here as well. The net effect therefore is there will be 50 more jobs in Worcester long term. On the face of it that's good news, but there's still much uncertainty for staff already here. A two-year consultation is now underway, the company says.